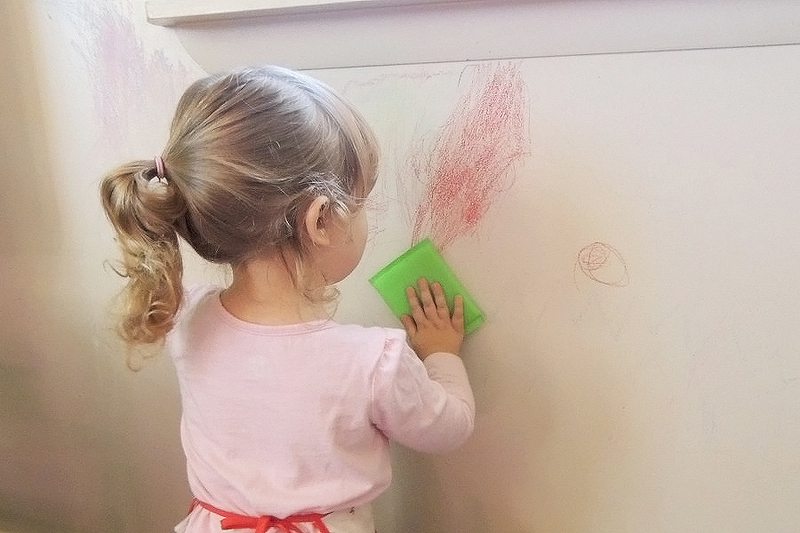 It’s okay, all walls get grubby – especially if there are children or pets in the house! Wipe with a very lightly dampened sponge, dipped in a solution of washing-up liquid. Don’t rub hard or you may damage the surface. To make cleaning easier, consider using washable paper or paint. Heavily soiled paintwork can be washed with a sugar soap solution and rinsed with clean, clear water. Chocolate smears in the kitchen or paint marks in the playroom? You bought washable/wipeable wallpaper for a reason! Take a sponge with a solution of washing-up liquid to the stain, taking care not to over-wet the surface. To fix a rip, tear (rather than cut, as ragged edges show up less than smooth ones) a suitably sized piece of the leftover wallpaper. Spread the back with thin wallpaper paste to cover. Position the patch over the torn area to match the pattern as well as you can. Smooth down with a clean damp cloth and leave to dry. Fresh white bread to remove stains? We tried this but, unfortunately, it didn’t work. However, mixing distilled vinegar with warm water and gently wiping over the stain works a charm! 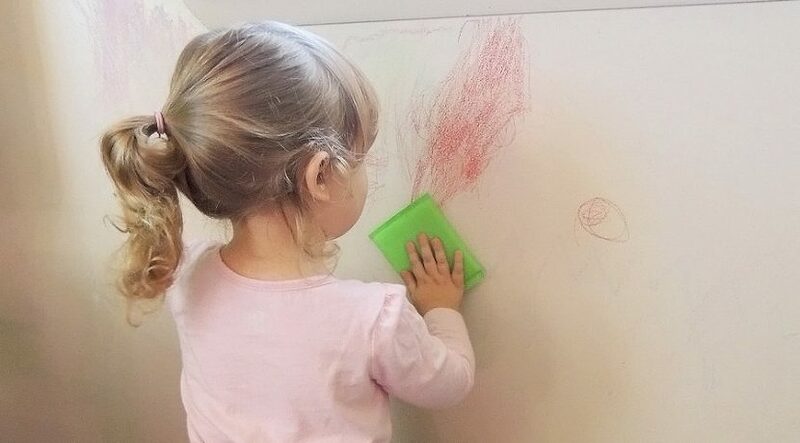 If you’ve got a budding artist in your home, scribbles on the wall will come as no surprise. Marks from ballpoint pens, crayons and coloured pencils can often be removed by using a sponge eraser. Use it by wetting the sponge with water and gently scrubbing. Wipe up any dirt with a damp cloth and solution of washing-up liquid. Buff dry. Stains can be rubbed with neat washing-up liquid. Fabric wall coverings are expensive and tend to be fragile. If you can, follow the manufacturer’s care and cleaning instructions. You might be better off calling in a professional. For ongoing care, dust occasionally with a dry cloth or the soft brush attachment of the vacuum cleaner.